Two days after their last day in school, our 7-year-old son went to his grandparents’ house in Dasmariñas, Cavite to get a breath of fresh air. That’s his way of saying that he’s had enough of Mommy. Lol! He got busy with a lot of things there, like helping his lolo tend his vegetable garden, wiping off dust on his aunt’s car, feeding the puppies, eating street foods, seeing new people, and playing. He seemed to have forgotten Mommy for a while, but after three days, he said he wanted to go home because he missed his Dad and me. Aww! He also managed to convince his favorite cousin Ate Ayie to spend the night in our place. 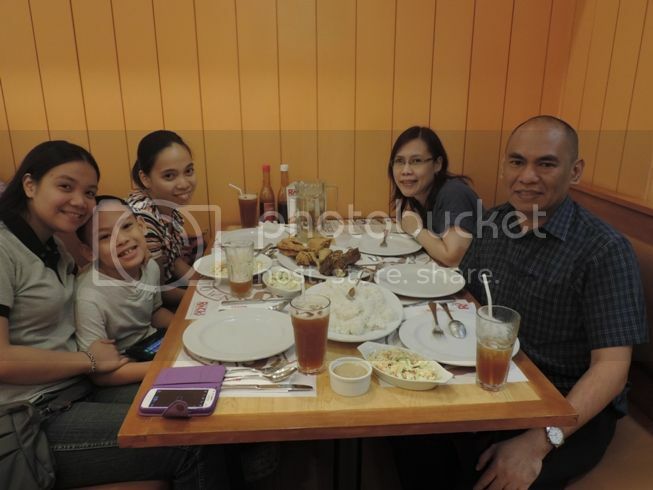 The next day, we all went to Megamall, met up with Ate Tin-Tin (Ate Ayie’s older sister) and dined at Racks courtesy of hubby. So happy to be with his cousins! Because we’re a big group, we opted for one of Racks’ family platters, the Southern Favorites. The Southern Favorites family platter costs Php1,295.00 and consists of Half Rack Classic Pork Ribs and Half Southern Fried Chicken, two large side dishes, a large platter of steamed rice and a pitcher of drinks of your choice (soft drink or iced tea). Justin wanted pasta, so we ordered Carbonara, too. 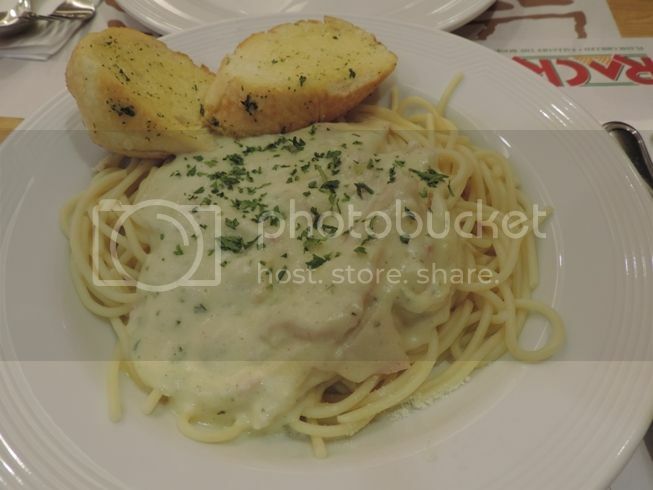 This creamy Carbonara had parsley and parmesan cheese and came with two small pieces of toasted garlic bread. Normally, Justin could finish the entire plate, but because he was too excited to bond with his cousins, he ate only half of it. The Southern Favorites pork ribs-fried chicken combo was a winner! 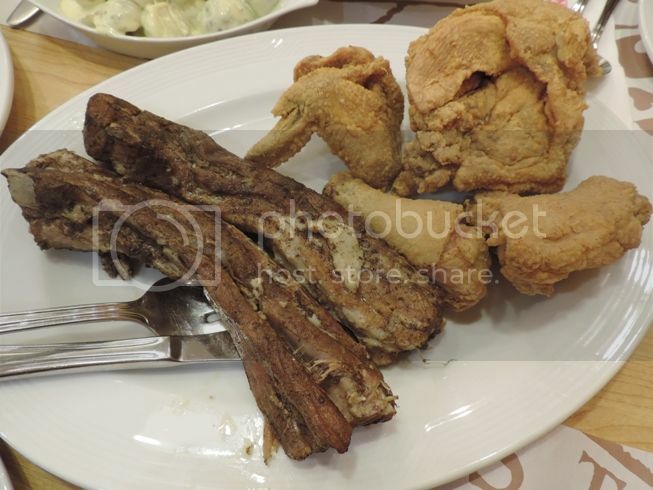 The Classic Pork Ribs were meaty and tender, and the Southern Fried Chicken was crunchy and tasty. One of my nieces chose this Potato Salad as one of the side dishes for our Southern Favorites family platter, and I was glad she did because it was delicious. Coleslaw is one of our favorite side dishes at Racks because as you can see in this picture, it’s creamy, and the veggies look fresh and crisp. 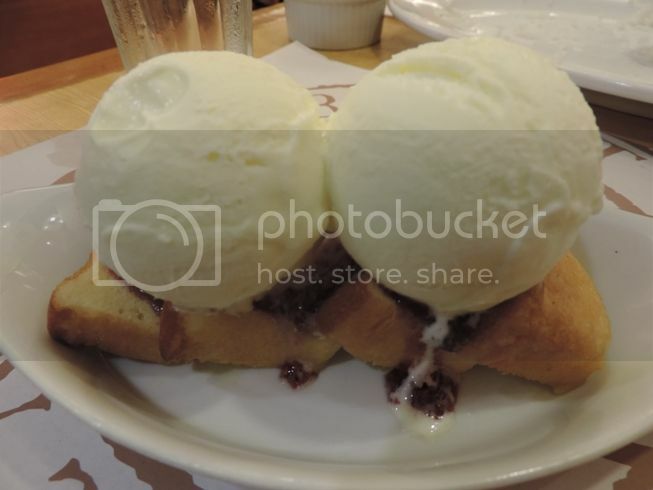 We also tried their Memphis Pound Cake, a buttery pound cake with raspberry preserves and vanilla ice cream as toppings. Can you guess who got all the ice cream? We’ve always been fond of the food and service at Racks. On this particular day, however, it took so long for our orders to arrive, but since our server was courteous and polite, we accepted his apologies for this slight inconvenience. 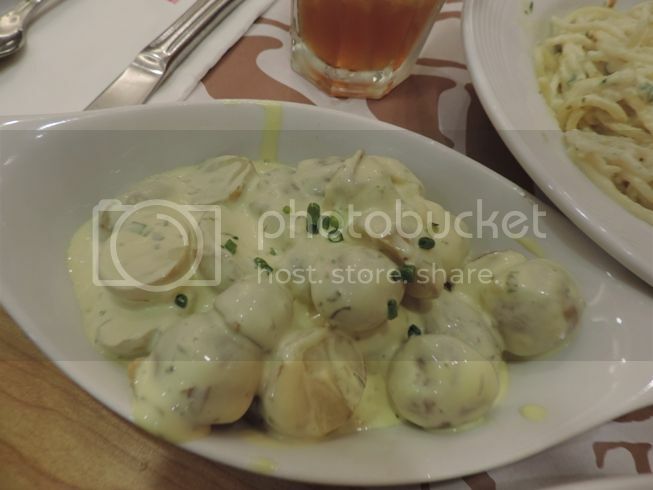 This entry was posted in Family Bonding, Racks, SM Megamall. Bookmark the permalink. 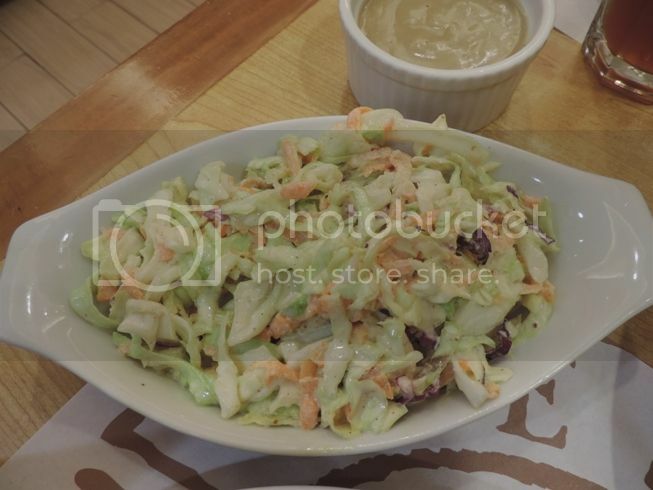 My all-time favorite…coleslaw! Just now, feel hungry with these food…yayyyyy!!! Everything definitely looks delicious, plus the smiles are contagious! na-miss ko naman yung carbonarra…and of course…i wont go home without eating that memphis cake! yummy!